LEAD Pittsburgh, a nonprofit community organization, advocates for education and awareness of depression. In 2008, LEAD Pittsburgh focused on mental health wellness for college students. National research shows the eighteen- to twenty-five-year-old age group can benefit from programs that teach resilience skills, and that such skills can protect against the development of anxiety and depression. In 2010–2011, LEAD Pittsburgh committed to developing partnerships with regional colleges and universities. Focusing on the benefit of collaboration around a shared value (the mental health wellness of their students), the representatives from the colleges and universities agreed to work together to develop a curriculum to teach resilience skills. It is our hope that students can combine their pursuit of academic work and future careers with learning effective ways to cope with challenge, stress, and transition so that they are well equipped to lead effective and fulfilling lives. SCoRE® represents the outcome of this collaboration. Sheila Fine is the principal founder of LEAD Pittsburgh. Her interest in depression piqued after reading an article about the suicide of a successful, well-connected businessman. She wanted answers as to why this tragedy could not be prevented and sought knowledge about the pervasiveness of depression. LEAD Pittsburgh evolved as a response to Ms. Fine's exploration of the prevention, causes, and treatments of depression. The work of LEAD Pittsburgh illustrates how eliminating the stigma and treatment barriers associated with depression requires community-wide involvement and fundamental systemic changes. Born and raised in Pittsburgh, Ms. Fine has been a volunteer and activist since her teen years. Today, she remains an active participant and member of numerous organizations and serves as a board member of LEAD Pittsburgh as well as Community Care Behavioral Health, the Eye and Ear Foundation, the Fine Foundation, the Jewish Women's Foundation, the Joint Patient Care Committee of UPMC/Shadyside Hospital, Shadyside Hospital Foundation, and the University of Pittsburgh Medical Center Behavior Health Board. Toni Macpherson was the executive director of LEAD Pittsburgh from 2010 to June 2015, bringing more than thirty-five years of professional experience as a psychologist and as an entrepreneur to the position. Ms. Mcpherson is a licensed clinical psychologist in Pennsylvania. She was a staff psychologist at Mercy Hospital for more than five years, working as part of a medical team determining diagnosis and treatment plans. In 1981, Ms. Mcpherson cofounded a consulting firm, OPTIONS, Experts in Disability Management, which worked with employers and provided case management services for individuals who suffered catastrophic injuries and later grew to provide medical and vocational case management services and expert testimony in legal cases involving trauma and wage-earning capacity. OPTIONS was eventually acquired by National Healthcare Resources (NHR). NHR was subsequently acquired by Concentra and is still operating today. Since the sale of OPTIONS, Ms. Mcpherson has been involved in a variety of projects and serves on the boards of Coro Center for Civic Leadership, Gateway Rehabilitation Center, Community Organization on Organ Transplantation, and LEAD Pittsburgh. 3C Institute (formerly 3-C Institute for Social Development) creates and delivers evidence-based products and programs that promote positive social, emotional, and mental health. Since its inception in 2001, 3C Institute has received grant funding from NIH to develop and test a wide array of interventions, including social skills programs for children, adolescents, and parents; behavioral interventions for diverse youth; and classroom interventions to improve school climate. 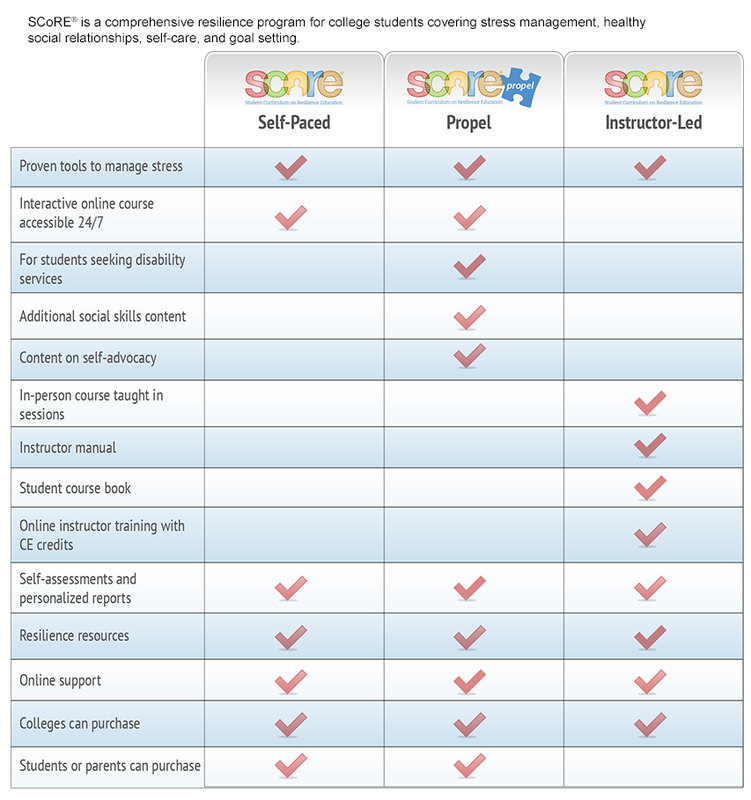 At 3C Institute, real-world implementation support is integrated into curriculum development from the beginning to ensure programs are usable, easy to implement, and engaging. Curricula are rigorously tested for effectiveness as well as product fit within the service setting. Finalized intervention products are then delivered to schools and providers through 3C Marketplace, 3C Institute's e-commerce website. 3C Institute is committed to developing tools and services that are supported by rigorous research and disseminated in a way that ensures direct benefits for children, young adults, and families. Melissa E. DeRosier, PhD, is a clinical psychologist whose research and clinical work have been dedicated to development of evidence-based social-emotional interventions for youth and their families. She obtained her master’s degree in child developmental psychology from the University of Virginia and received her doctoral degree in clinical psychology from the University of North Carolina at Chapel Hill. Dr. DeRosier completed her clinical internship at George Washington University and a postdoctoral fellowship in the Developmental Epidemiology Program of Duke University Medical Center. For the past fifteen years, Dr. DeRosier has worked with schools and community agencies across the country to develop, test, and implement effective programs for social-emotional health. In 2001, Dr. DeRosier founded 3C Institute, a research institute devoted to the creation and delivery of evidence-based tools that promote positive social, emotional, and mental health. In an effort to advance 3C Institute's mission of integrating research and practice within real-life service settings, Dr. DeRosier founded 3-C Family Services (3-C FS) in 2003, an outpatient mental health practice providing the full range of psychiatric and psychological services. Dr. DeRosier also serves on the board of CRESH, a nonprofit dedicated to helping schools and communities access effective interventions for youth and families. The collaboration among 3C Institute, 3-C FS, and CRESH creates a synergy in which real-world practice informs and is informed by research, resulting in evidence-based interventions. Lauren Holder Raab is senior content editor at 3C Institute, where she has helped produce print and web-based curricula in coping skills, trauma recovery, and emotional literacy. She graduated with highest honors in psychology from the University of North Carolina at Chapel Hill (UNC-CH). Her previous positions include director of graduate support services at UNC-CH; assistant director of design and publications services at UNC-CH; and communications director for the North Carolina Writers’ Network. Her writing and editing experience includes books, journals, magazines, and websites, as well as marketing materials. At 3C Institute, Deb Childress, PhD, serves as principal investigator and subject matter expert on programs aimed at supporting individuals with developmental disabilities as they improve their quality of life. Dr. Childress obtained her PhD in psychology at the University of North Carolina at Chapel Hill. Prior to coming to 3C Institute, she served as a research associate and a post-doctoral fellow in the Carolina Institute for Developmental Disabilities at the University of North Carolina at Chapel Hill, working on a longitudinal imaging study aimed at identifying the early markers of autism through behavioral and imaging methodologies. Additionally, in her 19 years of autism research experience, Dr. Childress has extensively examined the behavioral, personality and cognitive characteristics of individuals with autism and their family members.